What am I about to read? A guest’s first point of contact with a restaurant is the host stand, and it is crucial that the guest has a good first impression. It can affect how they feel about the rest of the dining experience. But the importance of this first interaction is often overlooked. And many restaurants still use pencil and paper to manage their front of house operations. This lack of technology is not good for host staff or for customers. But in a busy restaurant, it can be hard to stop and think about changes that might make life easier. Here is the good news: it is not as difficult as you might think. This guide will give you advice and tips on how to begin your journey to a more efficient – and profitable – front of house. Where did you get the data from? We gathered it from over 600 restaurants and backed it up with industry data. 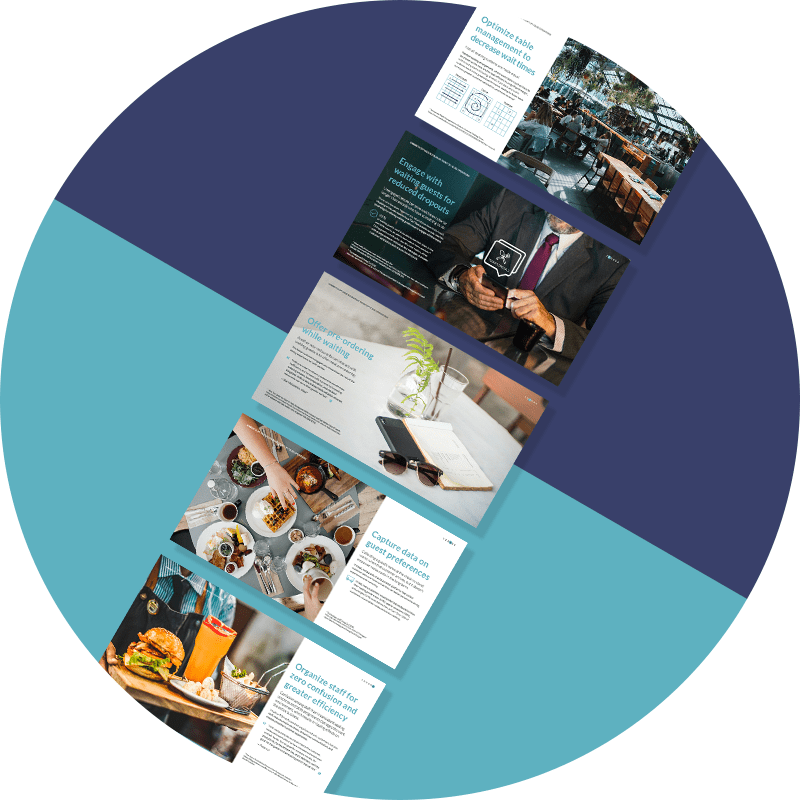 And we are confident this paper will resonate with you since most restaurants share common challenges. Is there a cost to the guide? There is no cost. Simply fill in the form, and we will email your copy. How can you make sure that your restaurant’s guests can’t wait to come back? Technology is everywhere. Everywhere should include your restaurant. Most restaurants haven’t taken concrete steps to drive growth online, which means a little effort can go a surprisingly long way.